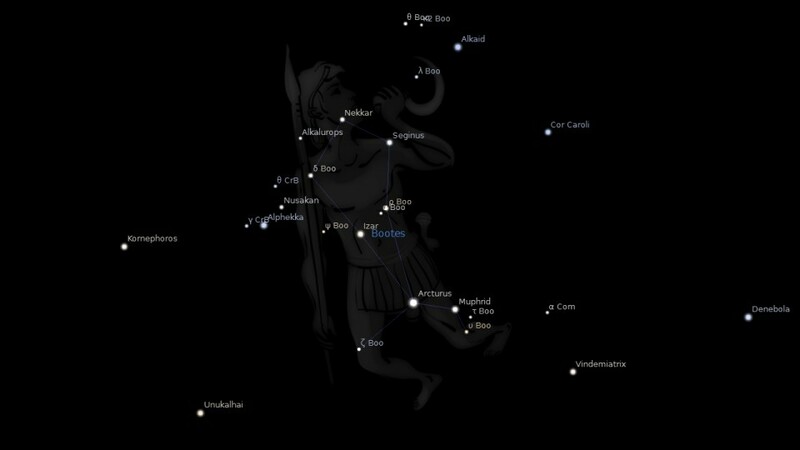 Constellation Bootes the Herdsman, sites north of constellation Virgo, between constellation Coma and constellation Orion. 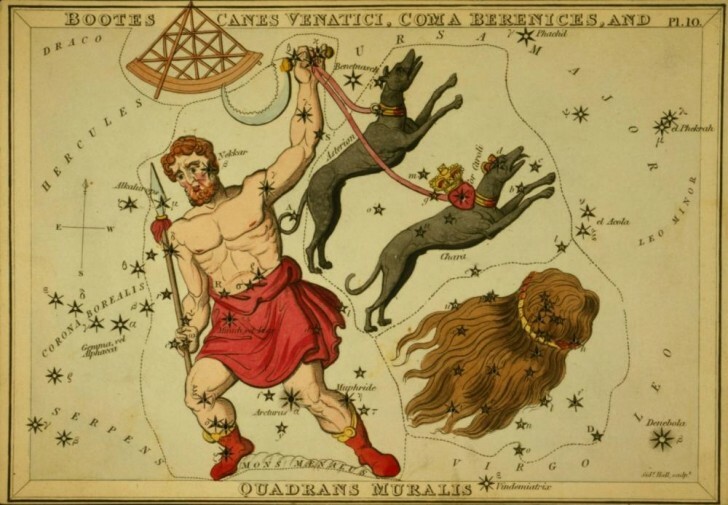 It spans over 35 degrees of the Zodiac in the signs of Virgo, Libra and Scorpio, Bootes contains 15 named fixed stars. 1. Fixed Stars and Constellations in Astrology, Vivian E. Robson, 1923, p.32. 2. Astronomica, Manilius, 1st century AD, book 5, p.329. 3. The Living Stars, Dr. Eric Morse, 1988, p.140-141. 4. The Witness of the Stars, E. W. Bullinger, 1893, p.36. 5. Stars, Stones and Scholars: The Decipherment of the Megaliths as an Ancient Survey of the Earth by Astronomy, Andis Kaulins, 2008, p.195.